How many times have you got bugged up with the time your system takes to finally start? Well, I am sure you all do it every now and then. What’s the solution to the time lag which forces you to sit and wait for your system to start with you staring at it? Sorting out your system is one solution to the problem. Make it clutter-free move the unnecessary things to trash and just keep the stuff you need. This is indeed the essential thing we must do on time to time basis. Can you think of another smart idea to help make your system burden-free? Minimalism is my suggestion. 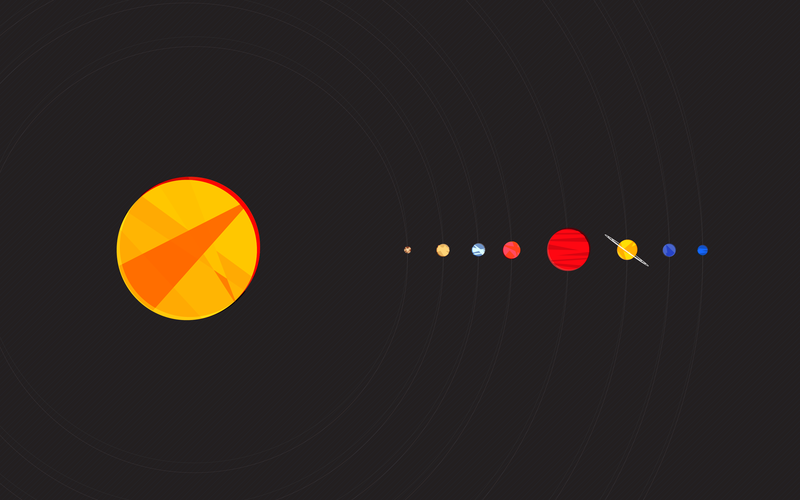 Pick up the minimal wallpaper design and make your system look tidy and help it boot up fast. You no more need to bother too much about having to waste the time waiting for it to finally start. Besides this, the minimal wallpaper designs also make your system look smart and clutter-free. Minimalist wallpaper designs are in these days for people today do not much appreciate the filled up designs. Designers around the world keep coming up with nice and elegant minimalist wallpaper designs for you all to make a pick from. For you all who are looking for such smart choices and for the web designers here are some handpicked minimalist wallpaper designs. Designers out there who are always looking for inspirational stuff will surely like these and get motivated to come up with more creative stuff. Check out these 40 Fresh Minimalist Wallpaper Designs For Perfect Visual Treat and let us know if we have met your expectations or not. So, you have sneaked a peak at 40 Fresh Minimalist Wallpaper Designs. Did you like them all or any particular one stole the show? Don’t hesitate about dropping in some suggestive comments as we take it as constructive criticism thereby making efforts to improve day by day.